Wat is dit voor site? Wij zoeken de goedkoopste boeken op internet. Revival Fires and Awakeningsvonden we het goedkoopst op Bol.com voor €17.99. We hebben gezocht in nieuwe en tweedehands boeken. Rechtsonderaan de pagina kan je het boek direct bestellen	via Bol	.com. Updated in 2017. Revival Fires and Awakenings spans four centuries and features 36 accounts of revivals and awakenings in eighteen countries on six continents, plus those from the Holy Bible. 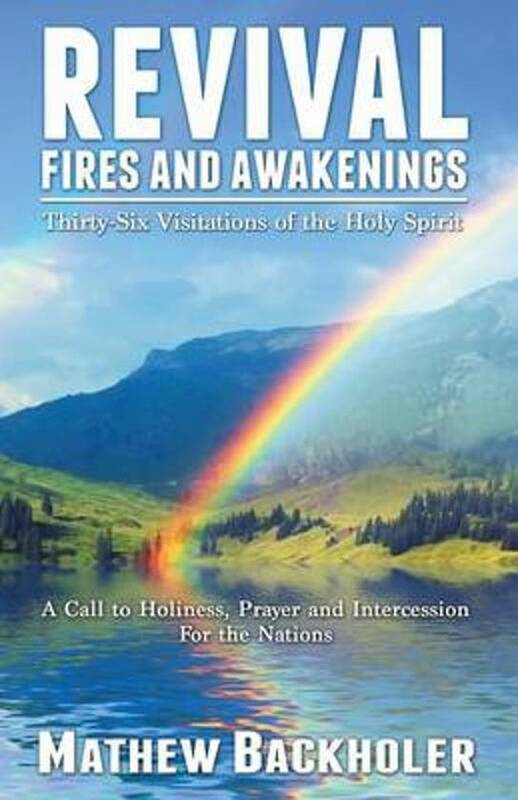 Whilst each revival is different, the author reveals the common characteristics and reoccurring experiences, which come to the fore during times of visitations of the Holy Spirit. Read about the heaven-sent blessings of revivals from the Holy Bible and church history and see the workings of God during times of Divine visitations: revived Christians, saved sinners, transformed communities and nations; healings, physical phenomena, conviction of sin, miracles, signs and wonders, deliverance from demons, prayer and intercession. The book also includes: Revivals in scripture, understanding revivals and awakenings, the characteristics of revival, why revival is needed, how to see revival, prayer for revival, opposition and why revivals cease, visions and prophecies of revival for the United Kingdom and beyond, our responsibility, repentance, personal holiness and intercession for the nations. With references to other revivals, evangelistic campaigns, healing crusades, television evangelism; with glimpses of the surrendered lives of those who stood in the gap and saw the Divine floods being poured forth during times of refreshing. In many of the 36 accounts of visitations, there is a watermark and undercurrent of the influences of the British Great Awakening (1739-1791) and the Welsh Revival (1904-1905) and how Christians were stirred and encouraged by past visitations of the Holy Spirit to see the blessing of revival in their church, town or nation. Learn from the past, be challenged for today and inspired for the future. Mathew Backholer is the co-founder of ByFaith Media (www.ByFaith.org) and the author of a number of books including: Global Revival – Worldwide Outpourings, Revival Fire – 150 Years of Revivals, Revival Answers – True and False Revivals and Extreme Faith – On Fire Christianity. As a revival historian, Mathew collates, documents and records revivals from around the globe. Mathew also films and presents ByFaith TV, which airs on numerous Christian networks around the world.